Having the capability of serving your users using SMS with an Intelligent Bot performing the interactions is the exact scenario we are going to explore in this article. To give you an overview of what we are going to put together here, you can start with the following diagram that illustrates the messaging flow and the major components involved. You set up that Phone Number to send an HTTP request to your server every time a SMS message comes in. Your server receives the messages from Twilio and prepare them to the Intelligent Bot server. The Intelligent Bot server processes the request and sends an asynchronous HTTP response back to your server. Your server receives that information and sends an HTTP request through the Twilio SMS API. Twilio sends the SMS message to the user. Once you already know what we are going to be doing, let’s have a look on what’s required before we get started and then dive into each one of these components. 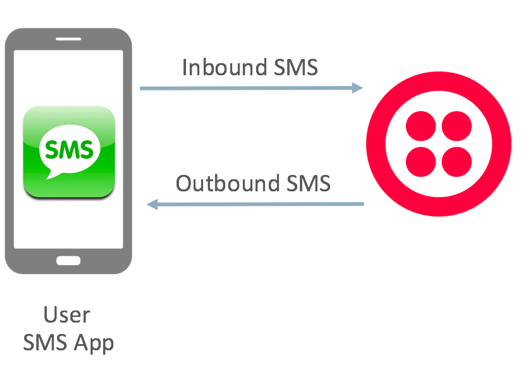 The very first part of our scenario is to setup the Twilio Phone Number and SMS capabilities that users will send and receive SMS messages. To do that, you’ll need to set up a Twilio account. You can sign up here: https://www.twilio.com/try-twilio. Once you have a Twilio account, log into the Twilio Console (https://www.twilio.com/console) and buy a Twilio Phone Number with SMS enabled. With your new Phone Number, you have completed the first part of our configuration and you should be able to send SMS messages to your number. The following diagram shows you what have you done so far. 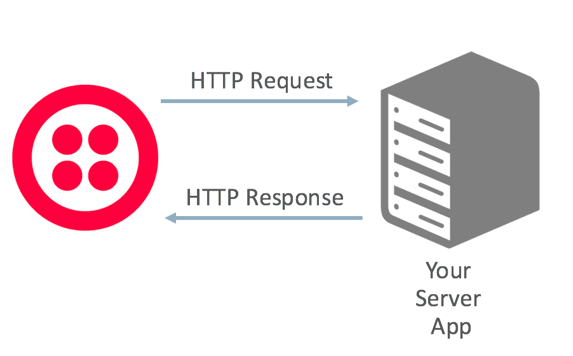 The next thing you will need is a way for Twilio to send HTTP requests to your sample Node.js server. If the Node.js server is running on your machine and it’s not directly exposed to the Internet then Twilio won’t be able to reach it. To enable that, I’d recommend using ngrok (https://ngrok.com/) with multiple simultaneous tunnels which allows you to expose a local server to the Internet, in this case one endpoint to be used by Twilio and the other by the Intelligent Bot server. If you already have a server that’s exposed to the Internet then feel free to use it as we move along. Make sure that your ngrok setup points to where you are going to be running your Node.js server. 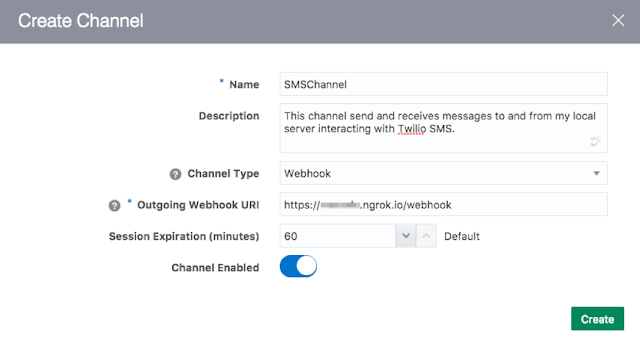 The URL generated by ngrok or the URL of your own server is what we are going to use to set up the Webhook in the Twilio Phone Number under the Messaging section for when “A Message Comes In”. 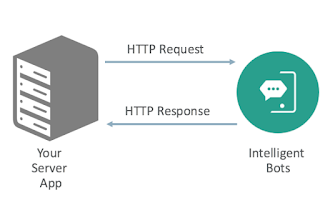 So, every time that someone sends a SMS message to the number you have set up, Twilio will make an HTTP request to the Webhook URL you have provided above. With that, you have completed the second part of our configuration and now Twilio is able to communicate with your server as showed in the below diagram. To use the Oracle Intelligent Bot with SMS you’ll need to set up the generic Webhook channel configuration. To create a Webhook channel, go to your Bot Settings page, select Channels and click the ‘+ Channel’ to start configuring what you need. Give it a name, description, select Webhook as the Channel Type, provide the Outgoing Webhook URI (this is where the Intelligent Bot server will make HTTP requests to your Node.js server) and make sure the Channel is set to Enabled. After you click Create, the Intelligent Bot server generates a Webhook URL for your bot and its correspondent Secret Key for encrypting messages. Keep these two values handy because we are going to need them soon when we configure our Node.js server. Download and extract the sample Node.js server code from here. Make sure you have Node.js (https://nodejs.org/en/) downloaded and installed on your machine before continuing on this step. The next step in our configuration is to have a piece of software that’s going to interface with both the SMS side (Twilio in this case) and the Oracle Intelligent Bot server. For this particular thing we are going to use a Node.js based server running some sample code to take care of those required tasks but you could host this on Oracle Mobile Cloud Enterprise (OMCe), Oracle Application Container Cloud Service (ACCS) or on your own server. The sample Node.js server will receive the SMS messages from Twilio, extract the relevant information, sign the message according to the Intelligent Bot server expectations and send the messages to the Intelligent Bot server. Then, the sample Node.js server will also receive messages back from the Intelligent Bot server, verify its signature, set up the response message and finally send the messages back to Twilio where the SMS will be generated and sent to the user. But, before you run the sample Node.js server, you will need to provide some required metadata information. You can set this up as environment variables or straight into the source code if you want to. The sample Node.js server will look for those variables during the startup and you can export/set them depending on your host platform of choice. so I can keep all the required information in one place for my development needs. With that, you have put together the final part of our configuration that allows the Intelligent Bot server communicate with your server. To test the scenario that you just put together, you can send a SMS message to your Twilio Number and have a conversation with your Bot. If you have setup the sample Financial Bot then you can try asking your bot “what’s my balance?” or “send a payment” to see how the bot responds to your requests. The fact that SMS is available everywhere, doesn’t require the user to download anything and it has a very low entry barrier makes it very appealing for a Bot channel. With very little effort, you can set up everything needed for your Bot to be integrated with SMS API-based providers and have that channel available to your bot quickly. Hopefully, this article provided a good idea on the major components, the necessary configuration on each level and the end to end functionality it provides to your bot project.